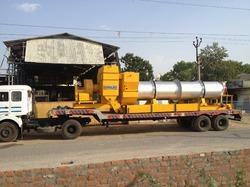 Leading Manufacturer of automatic asphalt mix plant from Mehsana. With the inclusion of high-end technology in all our processes, we are affianced in offering a qualitative assortment of Automatic Asphalt Mix Plant. Broadly used in used in small work and hilly terrains, our offered Asphalt mix plant is examined by quality experts on different stages in order to assure that dispatch flawless range. This Asphalt mix plant is manufactured by utilizing top grade material and cutting-edge technology at our highly advanced production unit. Looking for Automatic Asphalt Mix Plant ?